Quietly paddling across a lake in a canoe is a great experience, whether to see wildlife, fish, or just get some exercise. This site is dedicated to providing visitors useful canoeing tips about canoes, paddles, and the variety of accessories which can make canoe usage easier and more fun. Canoe tips also is a guide to canoe fishing tips, and canoe camping tips. It is great that you’re searching for information on canoes. Whether it’s a cheap canoe or an expensive one, they are a wonderful way to enjoy the outdoors and are a healthy and fun type of exercise, and can be a good way to enjoy family time. There are several types of canoes. Wood, Aluminum. Fiberglass. Inflatable. Plastic (often polyethylene). Some of the most well known canoe brands include Old Town, and Grumman. 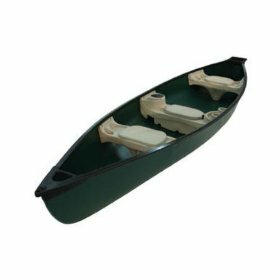 When selecting a canoe, some things to consider include the number of seats (typically two, but sometimes three). The weight of the canoe. A lighter canoe is much easier to load on and off the aluminum canoe trailor, or top of the car and into the water. The material it’s made of. The length. The width (beam), a wider boat typically being a more stable boat, but perhaps not as fast as a less wide canoe. The capacity, or weight the canoe is rated to support. Square or pointed back (e.g. are you planning to attach a motor to it. The price may also be a consideration. Various other features should also be considered such as does the canoe have built in fishing rod holders. Please take a look at some of the recent posts listed in the menu on the right. They provide information on more specific canoe topics. Thanks for visiting this page, and hope you enjoy the site and find it useful.